2019 Carolina Cardinals Tournament dates now posted! We welcome you to the oldest and longest running girls fastpitch program in NC! Founded in 1989 by NC ASA Hall of Fame coach, Ray Chandler, the Carolina Cardinals are viewed as one of the most prestigious programs in the nation. The Carolina Cardinals Chandler team continues to carry on the vision and legacy our founder, Coach Ray Chandler. 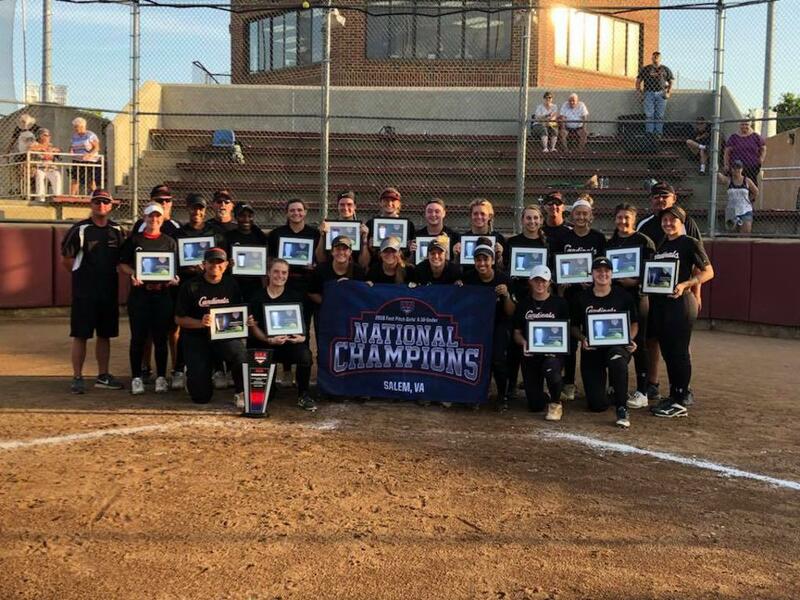 We play a highly competitive schedule of ASA and PGF tournaments nationally, including the Sun Classic, Independence Day in Boulder, CO, and USA Nationals. The team foundation is centered around knowing and believing in the importance of the physical, mental and spiritual pieces of the game. These young ladies know that attitude and effort can make the difference on the field and off! The Carolina Cardinals team knows that striving to be a better ball player is really about striving to be a better person. These girls believe that life’s most valuable lessons are found on every corner of the field. They know that the time spent on the DIAMOND will be what makes them SHINE in life. 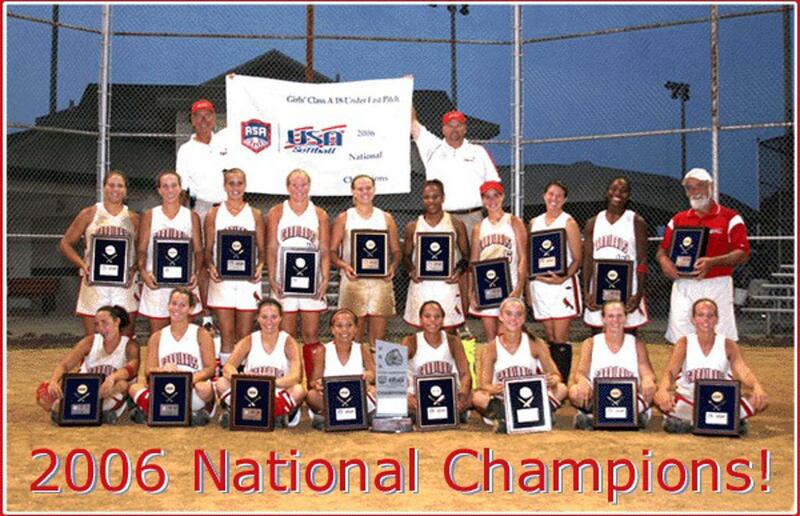 Carolina Cardinals 16U National receives national recognition from FloSoftball as a "Fab 50" team! Carolina Cardinals 16U National FloSoftball feature. Carolina Cardinals Chandler Featured in USA Softball Balls and Strikes! 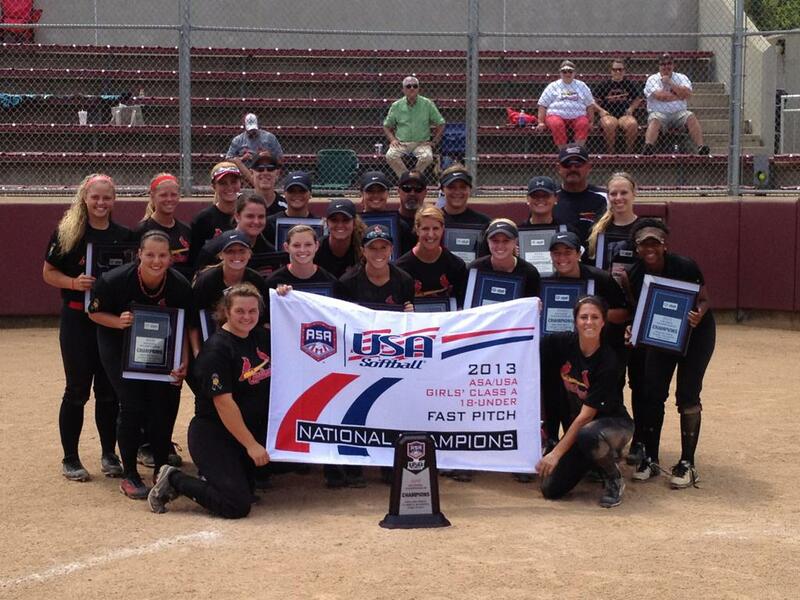 The Carolina Cardinals Chandler 18U girls fastpitch team is featured in USA Softball Balls and Strikes and Inside Pitch. They were recognized for the amazing run of four national championships in the last six years and top five finishes in six of the last seven. We have added the "Carolina Cardinals 16U National" team headed up by John Garner. This team will play a highly competitive "national" schedule, attending high level events all over the nation. We are excited that this team will further our national exposure and in turn, bring NC softball even more recognition on the national stage. "Carolina Redbirds" branding being brought back!!! I have been contacted by many teams over the past few months about joining our Cardinals organization. We are bringing back the "Carolina Redbirds" brand to allow some teams to play under our Carolina Cardinals umbrella. This is being done to give prospective teams their own identity but still play under our organizational structure. 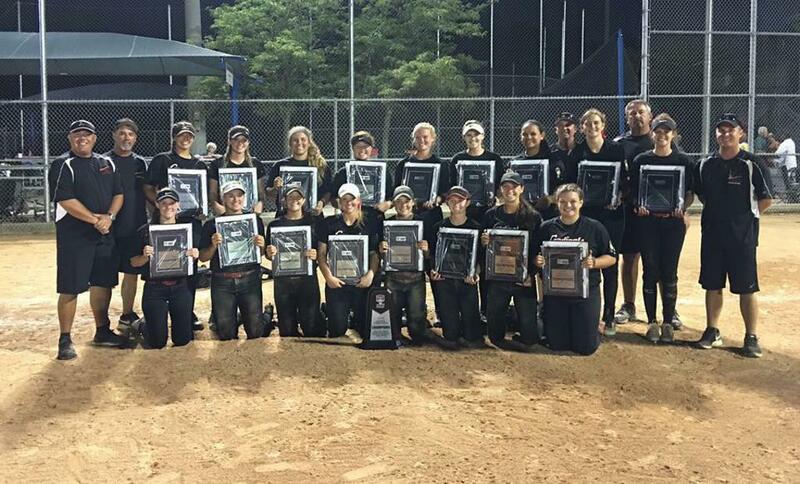 Carolina Cardinals Chandler "three peat" as USA Softball's 18A National Champs! Abby Settlemyre - 2018 NC Gatorade Player of the Year! What an honor to have our very own Abby Settlemyre selected as the "2018 NC Gatorade Player of the Year"! Carlie Myrtle Regional Player of the Year! We are extremely proud of our very own Carlie Myrtle for garnering Regional Player of the Year! 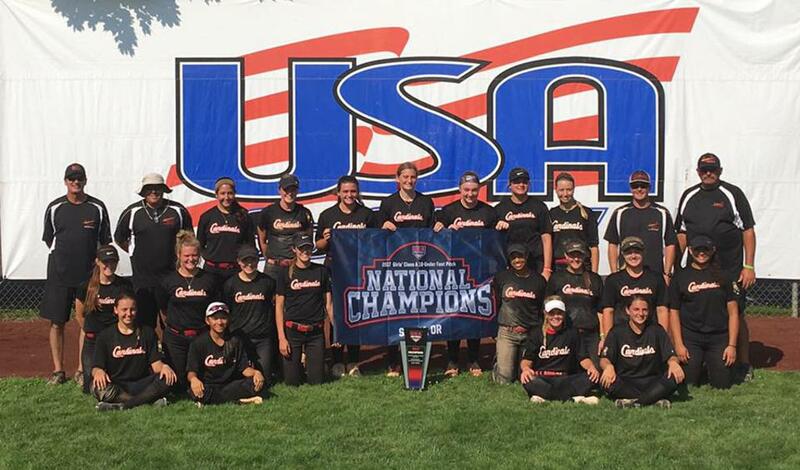 Congratulations to the 2018 Cardinals Chandler team on winning the 2018 USA Softball 18U NC State Tournament! was selected to play pro ball with the newly formed ASBA Pro League. 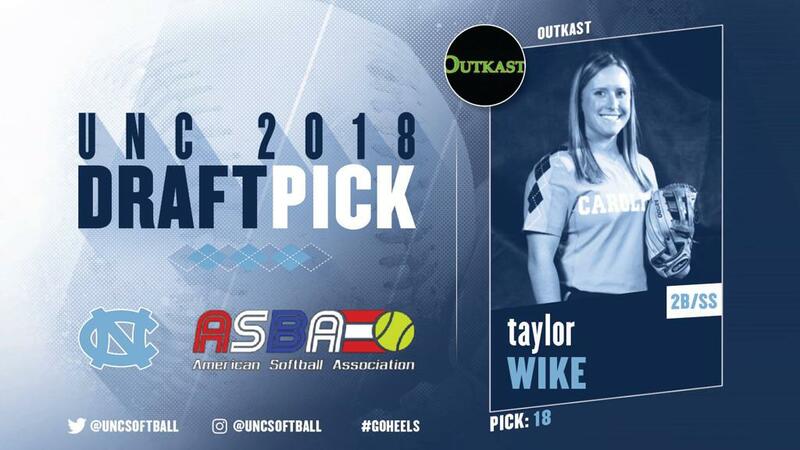 We are so proud of Taylor and her accomplishments as a player at UNC and now at the next level! 2018 High School State Champions!! !